<message sent 10:34:04 SST, July 13, 2144: Europa Station 5> How are you these days? <message sent 11:18:23 SST, July 13, 2144: New Alba, PA, UNAS> I’m okay. Busy, as always. You? <message sent 12:04:39 SST, July 13, 2144: Europa Station 5> Busy too. <message sent 12:50:08 SST, July 13, 2144: New Alba, PA, UNAS> When do you think you can come visit next? Everyone keeps asking about you. The kids keep growing like weeds. Harris is walking now, you know. 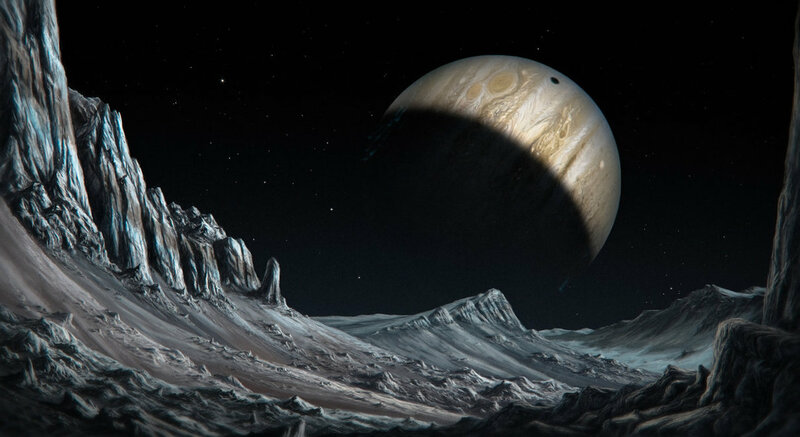 <message sent 13:35:56 SST, July 13, 2144: Europa Station 5> He is? That’s great. I don’t know when I can come back. We opened a new mine last week. The new crew’s a bunch of morons. Gotta keep them in my sights or they’ll end up blowing up the whole moon. <message sent 15:02:43 SST, July 13, 2144: New Alba, PA, UNAS> Yeah. I understand. <message sent 15:49:12 SST, July 13, 2144: Europa Station 5> Are you mad? Look, I’m doing my best. This is better than Alpha Centauri. <message sent 17:19:00 SST, July 13, 2144: Europa Station 5> I know it’s not ideal, but I’m literally 99.9999% closer to home than I was there. There are shuttles every month now instead of every three years. You can get a message here in 45 minutes instead of 4 years. <message sent 19:33:45 SST, July 13, 2144: New Alba, PA, UNAS> We just miss you, that’s all. But please don’t feel like I’m judging you. You’ve got a great job there as mine supervisor. You are doing great things, I’m sure. <message sent 20:19:55 SST, July 13, 2144: Europa Station 5> Actually, to be honest, I feel like I’m in exile here. Europa is fine, but it’s lonely. I moved to be closer, but I feel further away than ever. Now I’m just far away from everything. Also, there are no butterflies here. It’s a minor point, I guess, but you should have seen the butterflies we had on Alpha Centauri. They were beautiful enough to make you tear up. I’m sure you’ve seen pictures, but pictures, even videos, don’t do them justice. <message sent 20:21:13 SST, July 13, 2144: Europa Station 5> Sorry for that. Just getting things off my chest. <message sent 21:29:51 SST, July 13, 2144: New Alba, PA, UNAS> Sorry you feel so down. If it makes you feel any better, I do like having you in the same solar system. After 4 lightyears, 390 million miles seems like just down the street. Gustav even wanted to get a telescope, so he could see you. I told him we could try. <message sent 22:16:21 SST, July 13, 2144: Europa Station 5> I’ll wave sometimes, in case he’s looking at me. 🙂 Well, even if I can’t come by for dinner every week, things are improving little by little. At least we share the same sun now. <message sent 23:03:49 SST, July 13, 2144: New Alba, PA, UNAS> Yeah. 🙂 Maybe someday we’ll even share the same moon again.